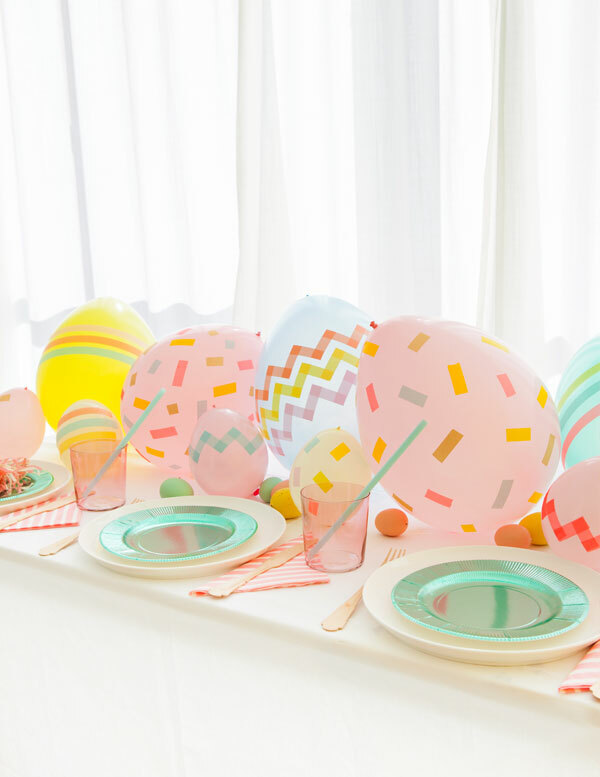 Here’s the perfect centerpiece for your Easter table! 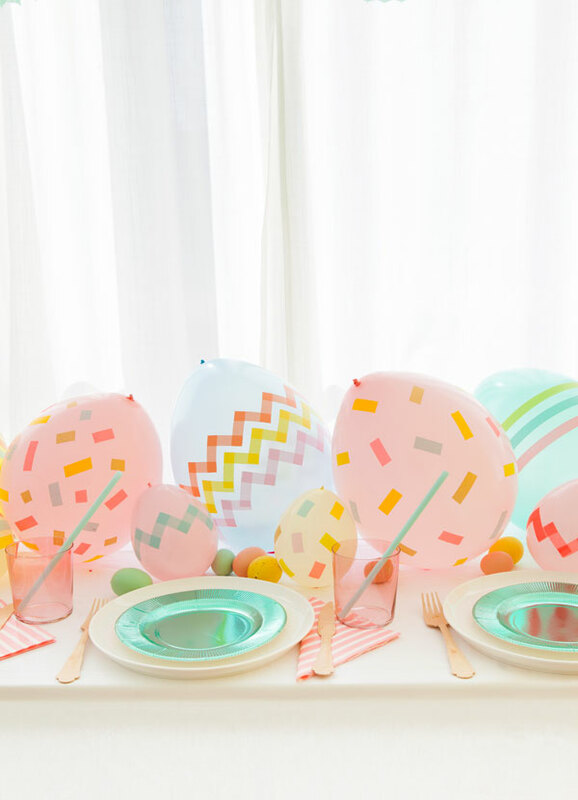 To make these pretty eggs, you only need 3 things: balloons, washi tape, and scissors. 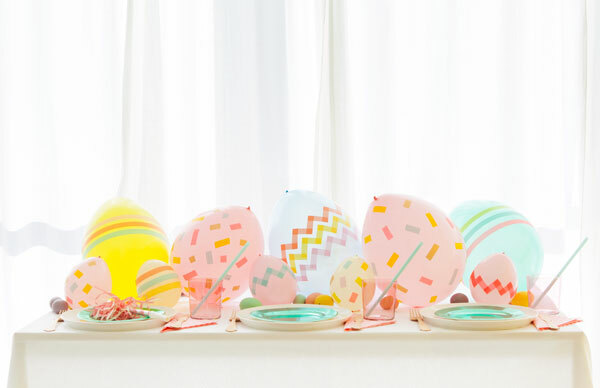 Arrange them down the center of your table or hang them up at your Easter Egg Hunt. You can make these 2 days in advance – as long as you store them in black garbage sack in a cool, dark place to keep them looking fresh. Step 1: Inflate 11” and 5” balloons until they are egg-shaped. Knot the balloons and trim off the tails. 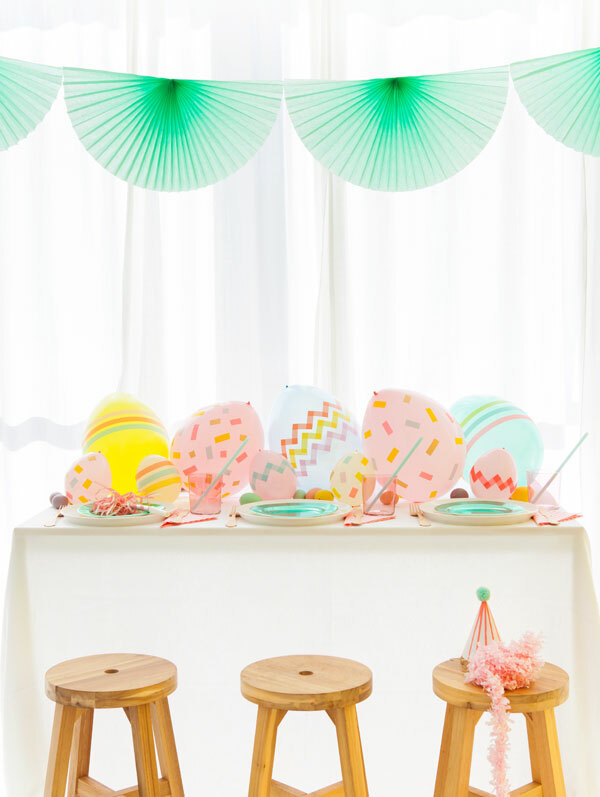 Step 2: Cut pieces of washi tape with scissors to make fun easter-y patterns like confetti and chevrons. 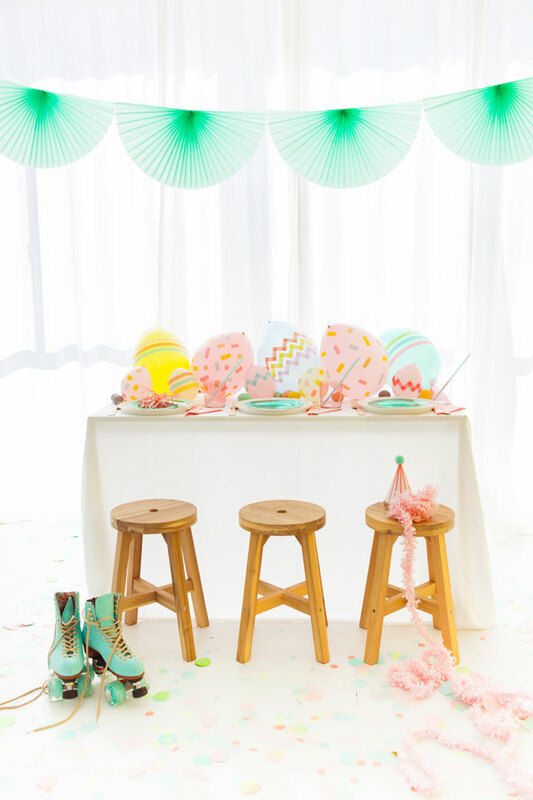 Or, wrap long pieces of washi tape around the center of a balloon to create stripes. Easy! Obsessed with this, super simple but effective! So cool, and those balloons have just the perfect shape for an egg! I can’t believe it’s nearly Easter. This year feels like it has just flown by! This is genius!!! So simple and fun but with a big impact look! LOVE IT!